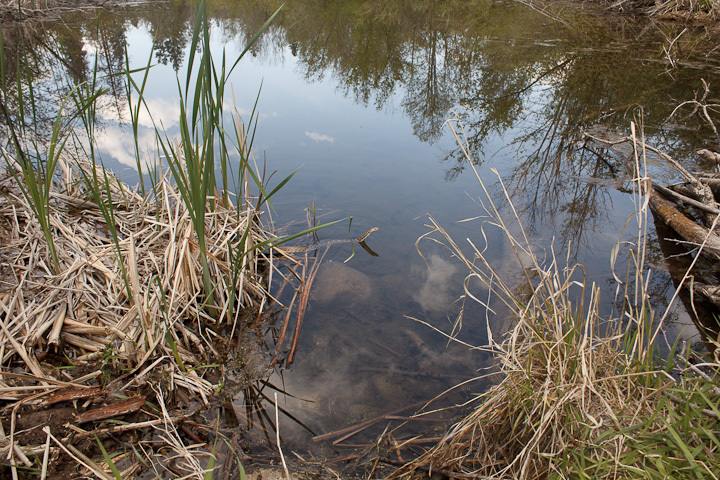 While Catherine and I were exploring the area around Vaseux Lake, We managed to see a couple of snakes I had not yet encountered in BC. 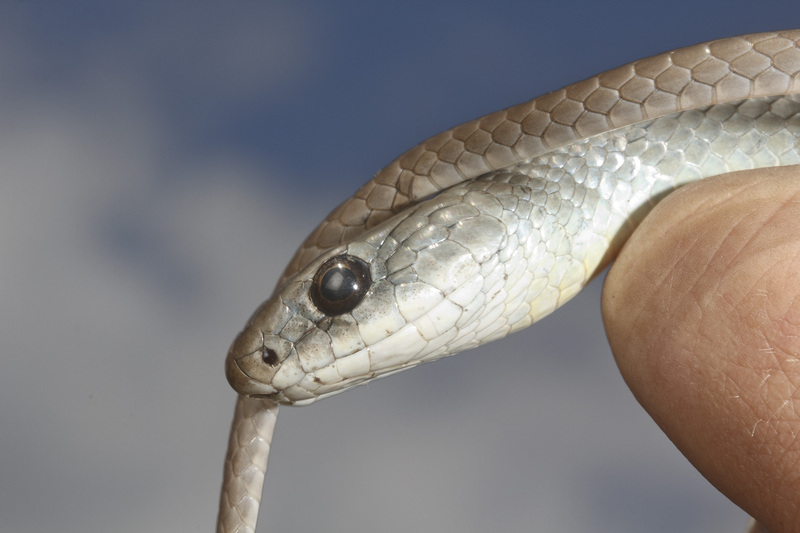 The first species was the yellow-bellied racer (Coluber constrictor mormon), a subspecies of the common racer. Like other racers I have seen, these were super fast snakes! 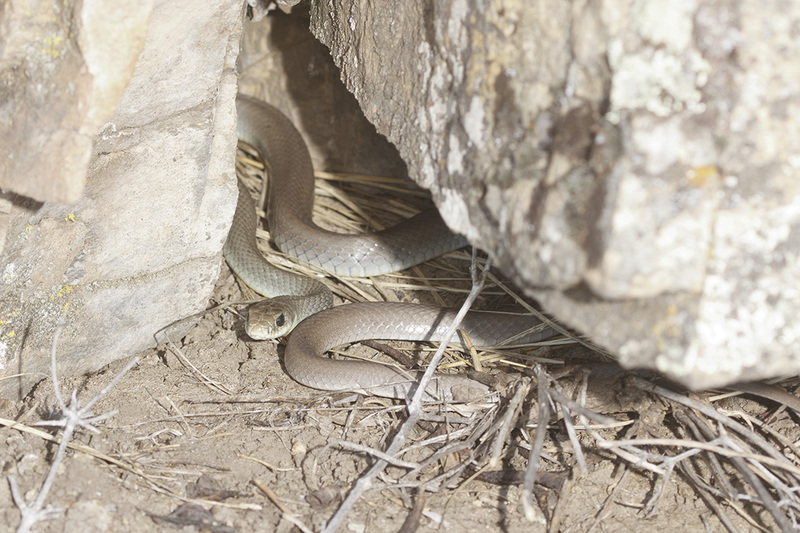 This was as good as I could manage for an environmental portrait, as the snake could not be convinced to pose. 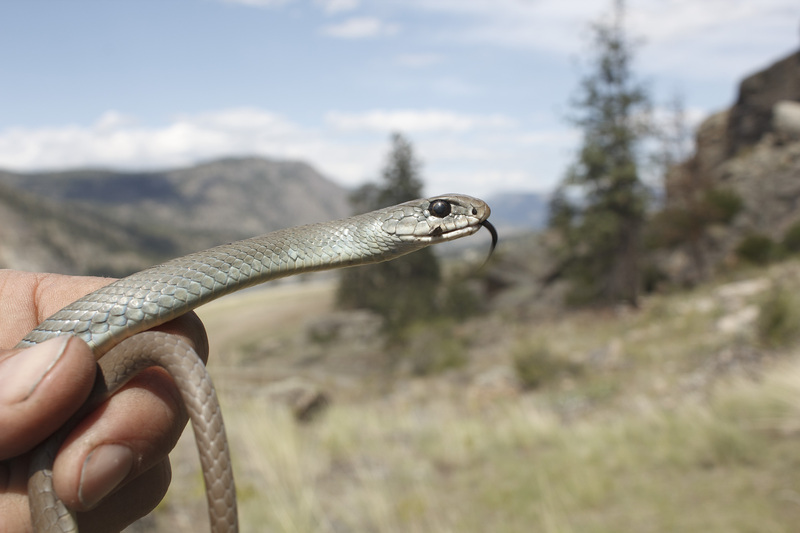 Like many other Okanagan fauna, the racer is considered vulnerable in BC. 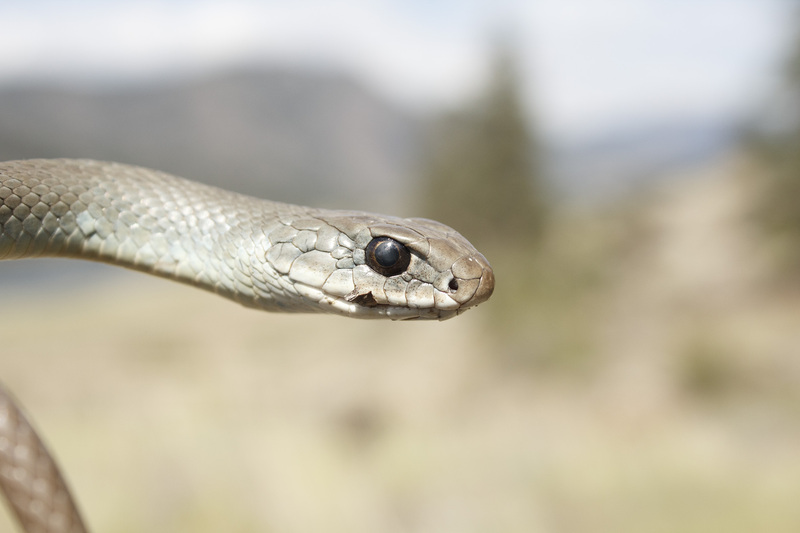 Because of rampant development in this area of BC, the status of these beautiful snakes is uncertain. The second species we found was a beautiful (and BIG) bullsnake (Pituophis catenifer). This awesome constrictor was (long ago) considered a subspecies of the pine snake, and is a species I have always wanted to encounter. We had seen one dead on the road before, so seeing this amazing snake alive was certainly a highlight. 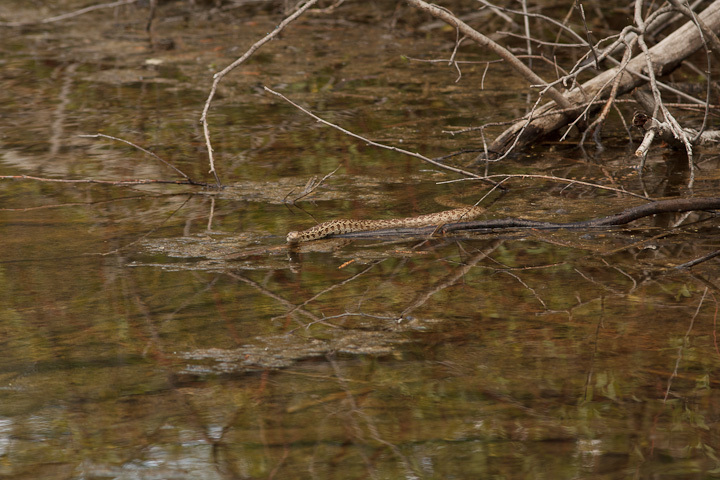 When I pointed out the snake to this guy, he dived right in to catch the snake. I wish I had caught his name, but he was a real Okanagan outdoor lover who had a great fondness for the local herpetofaina. He was also immune to poison ivy, which is why he was able to navigate the ivy filled swamp to fetch the snake. 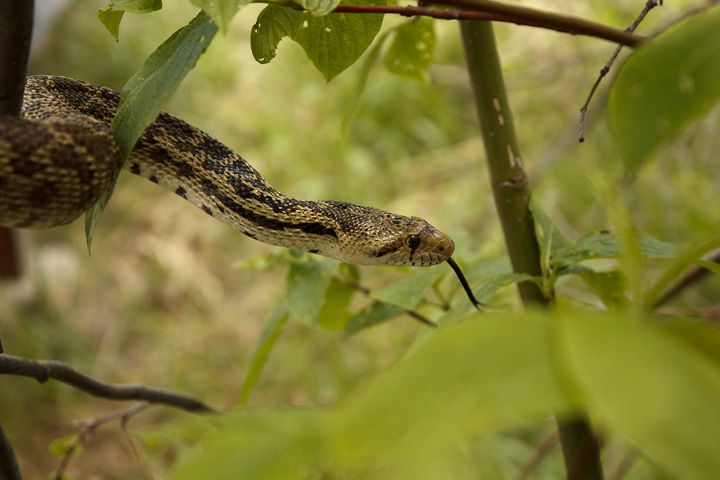 I managed to get this picture of the snake on a branch, but not much else. This was by far the largest snake of any kind I had ever encountered in Canada. Handling it was not intimidating, although it did musk us a bit. 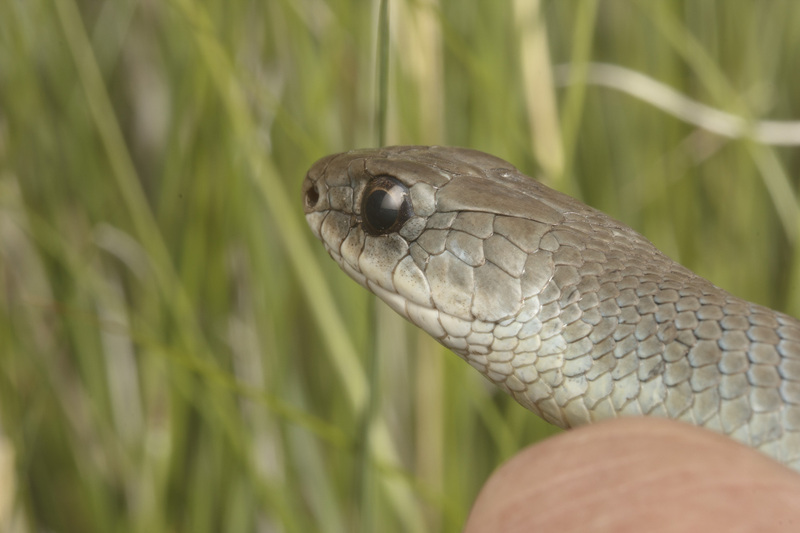 Interestingly, the musk of this snake was not super-offensive like that of a garter snake. After we let it go, the snake had the last laugh…While the fellow who caught him was immune to poison ivy, I certainly was not, and got a bad case from having handled the ivy oil-laden serpent! haha – That’s a good story! I still have not recovered!